We’ve just sent our very first MultiTest 50-xt out to a customer. 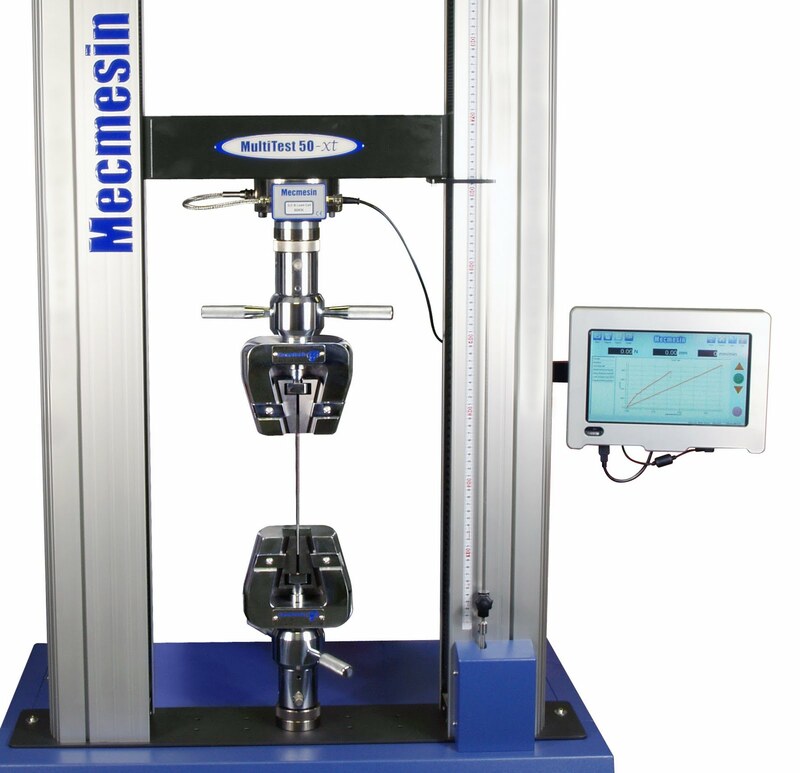 This massive twin-column tension and compression testing system with its easy-to-use touch screen console, is suitable for testing tougher, larger products and samples across a broad range of industries from aerospace to packaging, construction to textiles. With the MultiTest 50-xt, tension and compression tests are performed at the push of a button, making it ideal for routine quality control of products, material and components. It’s specifically designed for environments where throughput, productivity and minimal training are vital and where the use of a computer is not always suitable. 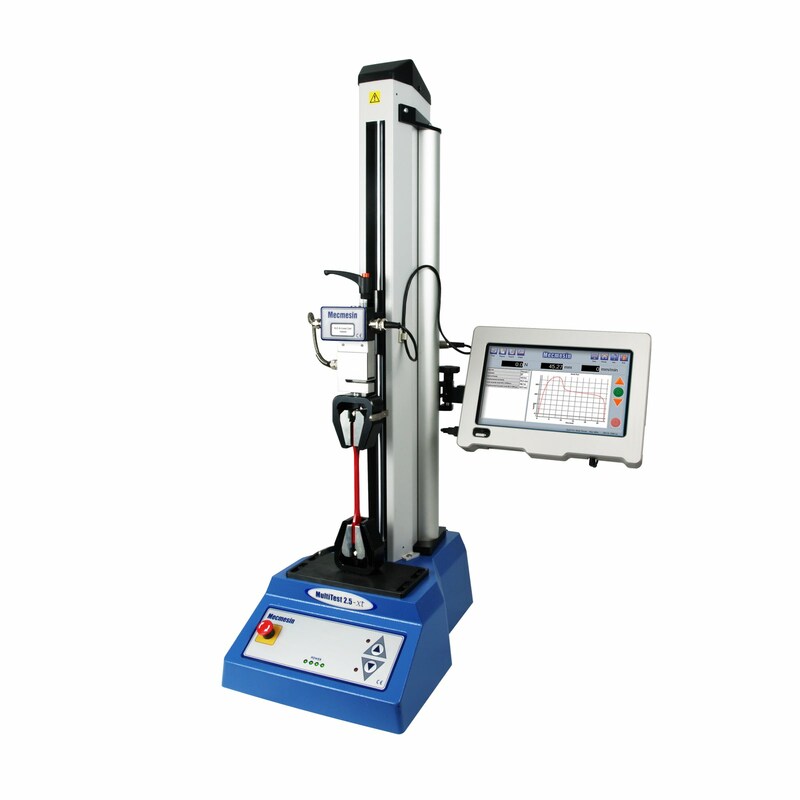 Rated up to 50000N (11,000 lbf), the MultiTest 50-xt is 1931mm (76”) tall, with space to fit a sample of 1330mm (52.4”)* and has a crosshead travel of 1100mm. Machine guards to protect operators and column gaiters to shield the test frame from small components/dust are available on request. *measured without loadcell or grips. We’ve just appointed a new Export Sales Co-ordinator. 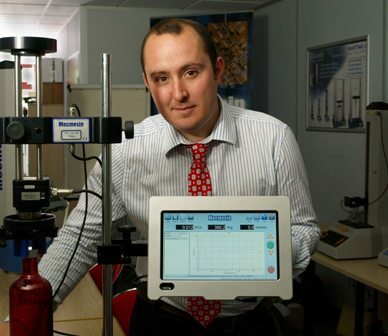 33 year-old Ben Mitson has been brought on board as result of increasing demand for our quality control testing systems. 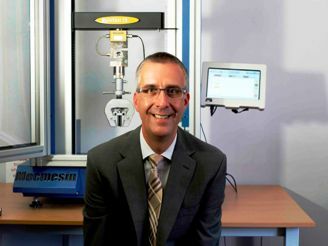 Mecmesin currently employs more than 60 people in its UK headquarters but is looking to recruit more engineers. The Interpack exhibition went “extremely well” this year and was “very international in feel” according to the Mecmesin team who manned the stand. The team was struck by the fact that there were more visitors from across the globe than ever before. This year there were buyers from as far afield as Senegal, Ghana, El Salvador and Guatemala. Dave put this down to the fact that buyers from emerging markets were probably beginning to have a greater realisation that quality control was a necessity not a luxury. Visitors to the stand, many of whom were interested in the torque testing of bottling and capping, were shown the new Vortex-xt, the Tornado, the MultiTest 2.5-xt, the MultiTest-25-i and the MultiTest 1-d. According to Declan, at one point a straight-talking, no-nonsense type of Australian approached the stand and demanded an impromptu demonstration of the MultiTest-xt. This canny Antipodean was the owner of a company that made medical devices and he had brought his sutures half way round the world to find the best testing equipment for his samples. Undaunted by the thought of a live demo in front of a crowd, Dave and Declan went to work. They attached the thread to the needle and then tested the tensile strength of the sutures. The medical device manufacturer was so delighted by the results that he asked them to do yet more testing. This time he wanted to see if the MultiTest-xt could carry out a series of peel tests. Again, the Mecmesin machinery performed admirably. 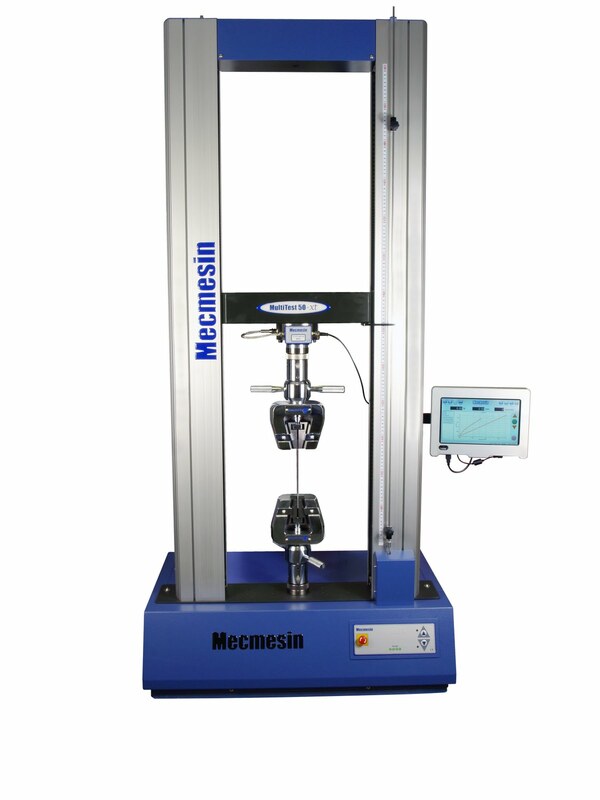 After the tests were completed, the manufacturer just smiled and asked for the contact details of the Mecmesin distributor in Australia. Apparently a lot of people who came to the stand asked where Mecmesin machines were made. When the team told them that they were made in the UK, they were really impressed and said, “that’s great” or words to that effect. It seems that Britain still has an enviable reputation for quality throughout the world and that’s always good to know. The transit van’s loaded and all the equipment’s packed safely away – ready to begin the long journey from Slinfold in West Sussex to Dusseldorf in Germany. 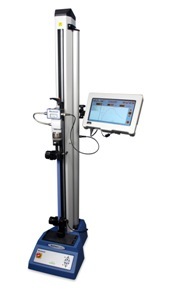 When we get there, we’ll be unveiling our new Torque Tester – the Vortex-xt. 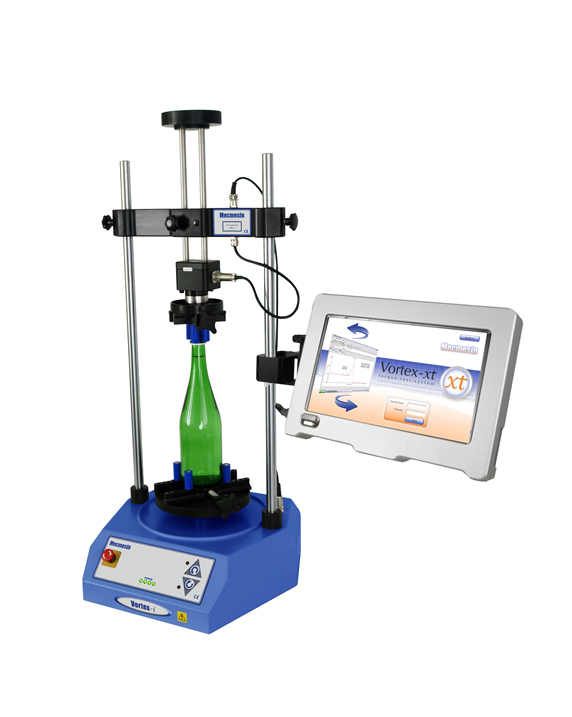 The Vortex-xt is easy-to-use and has been designed to cut costs by improving production line efficiency. 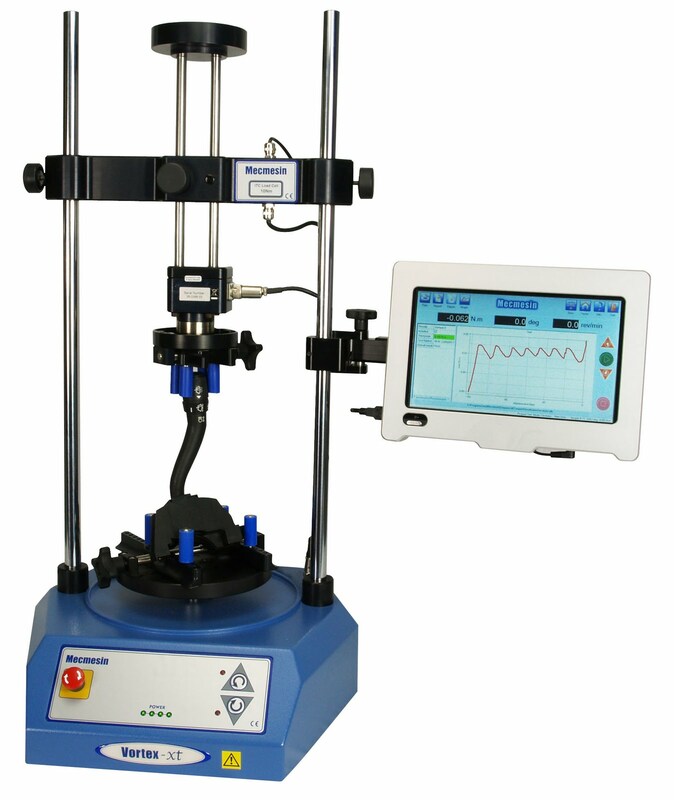 It can quickly measure stripping torque and release torque. It’s able to identify bridge breaks and can help to avoid spinners. It can also be easily adapted to test child resistant closure and of course, we can offer bespoke fittings to match individual containers. What’s more, the Vortex-xt, is simple to operate. Up to 5 frequently used tests can be stored for quick access by different users. Password protection allows “administrators” to alter test set-up and template design, avoiding any accidental changes to programmable functions. We’re also taking our most powerful Packaging Test System yet – the MultiTest 50-i to Interpack with us. This tension and compression tester has a loading capacity of 50kN and we think this will really interest quality assurance managers out there. 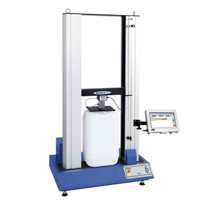 The MultiTest 50-i can accurately measure the top-load strength of larger, stronger packaging samples. 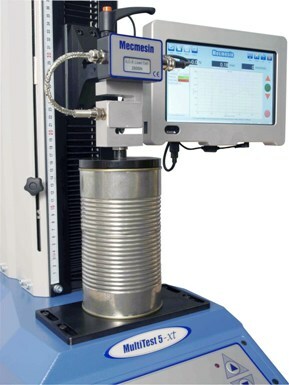 The high capacity, computer-controlled, force test system offers an increased clearance between the columns of 420mm and sample height of up to 1330mm. 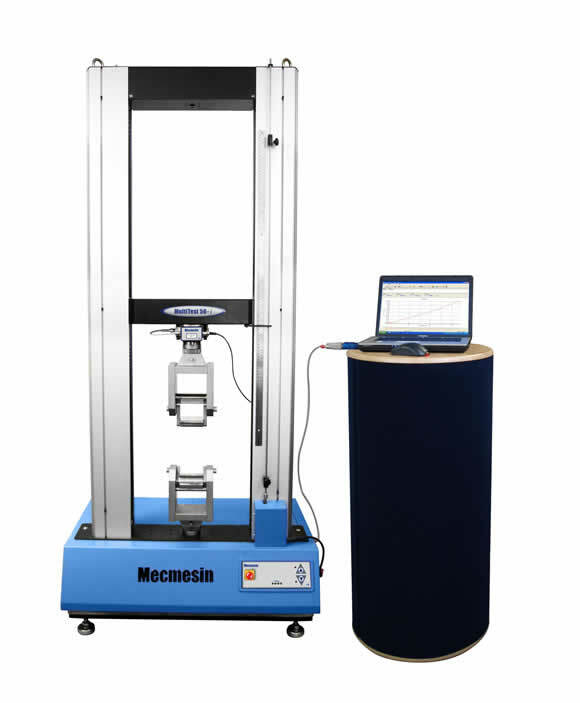 The whole system’s controlled by Mecmesin’s windows-based Emperor Software and users can create test routines to meet their exact specifications and changing needs. If you’re going to Interpack 2011, please visit our team in Hall number 5, stand FO4-1. You’ll get a warm welcome whether you’re browsing or buying. 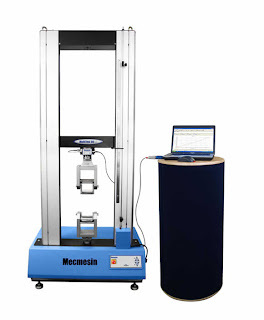 If you’re not going to Interpack but would like more information about any of our torque or force testing products, please e-mail: info@mecmesin.com or phone +44 (0) 1403 799 979.